Naples was probably founded by inhabitants of the Greek colony Cuma, around the 8th century B.C., just a few kilometres from the more ancient town Partenope. For this reason it was named Neapolis (from Greek, meaning New City). 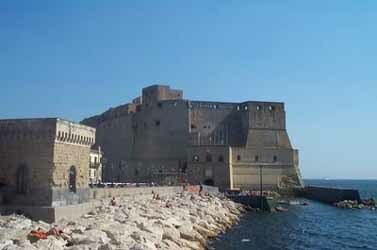 Naples was governed by many different powers,such as the French, the Spanish and the Austrians. In 1860 Guiseppe Garibaldi came and freed Naples from the government in place at that time. Later after a plebiscite it was decided that Naples should be part of the Republic of Italy. 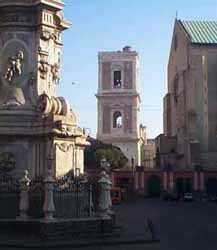 The sites of Naples bear traces of all periods of its history, from its Greek birth, until the present day, with a wealth of outstanding monuments such as the Church of Santa Chiara realised in 1310 to the will of Roberto Di Angio, and the Castel Nuovo (New Castle) built between 1279 and 1282 for wish of Charles I of Angiò from whom the denomination of Maschio Angioino.